Reference letters have been in use for as long as anyone can remember. Of course, they share the nitty-gritty information about who you really are to someone else who is interested in understanding your personality and character. 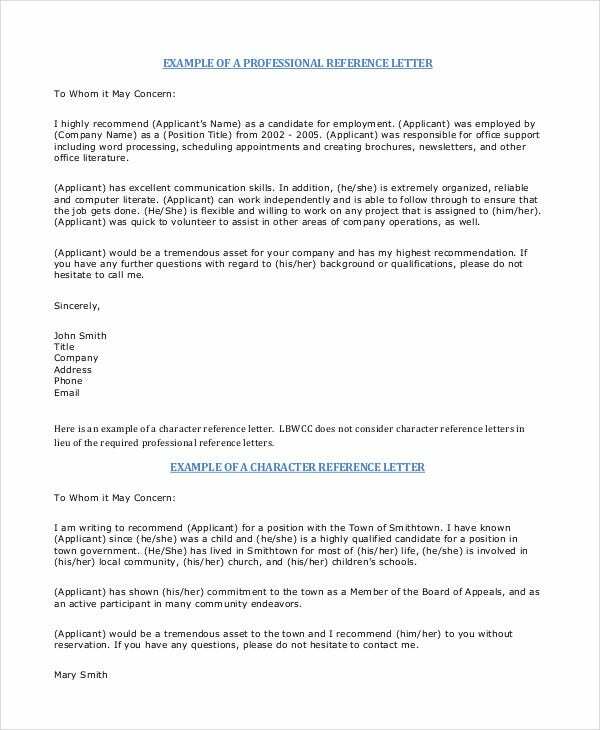 They are also called the reference letters, AKA recommendation Letters. 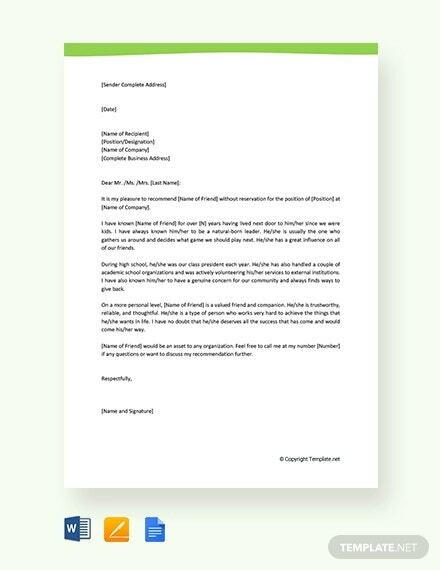 It is important to understand that there are useful templates out there that you can download and use straight out of the box to write the best sample recommendation letter whenever necessary. Here is a list of the sample files. 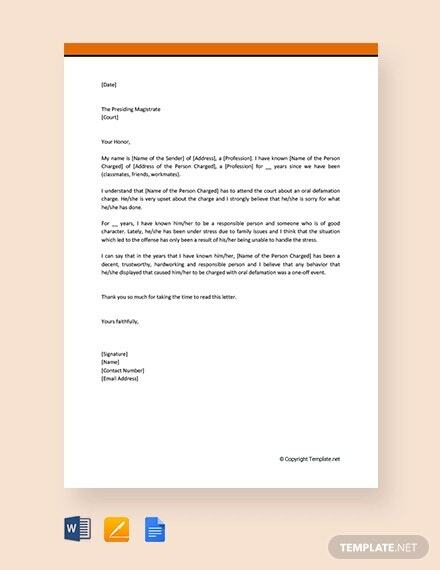 You can also see Personal Reference Letter Templates. 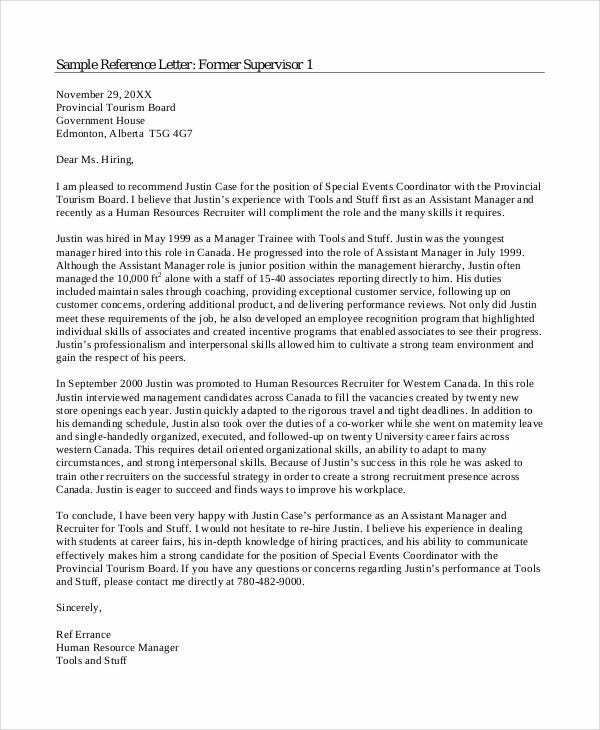 You write this letter to a friend who needs it for job hunting. Make it short and precise. 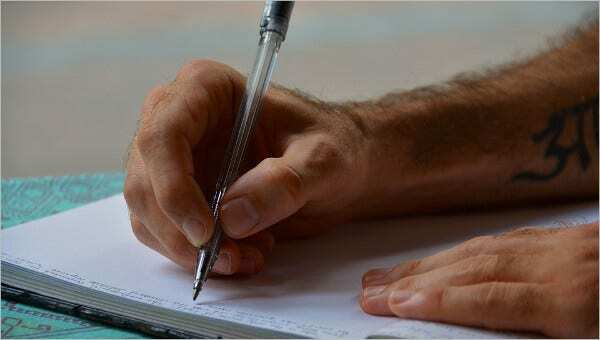 Make your notes objective so that readers get more value from every sentence they read. 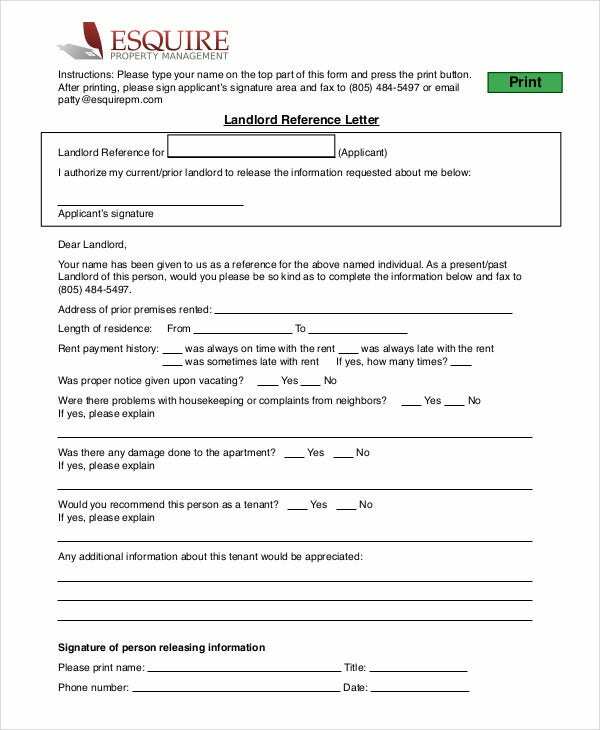 You may have wanted to write this letter, but you didn’t know how to start. 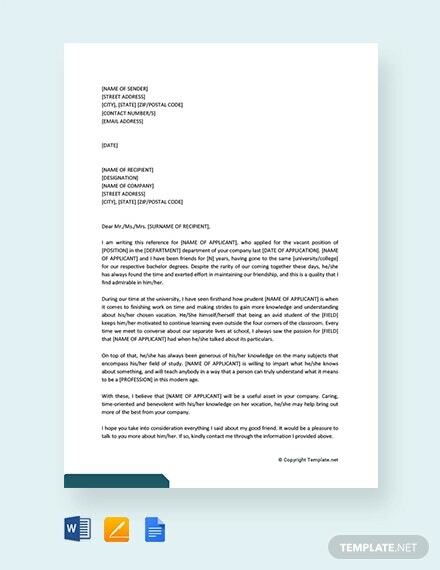 The easiest modern way to write a good reference letter is to use an already existing template as a helper tool. 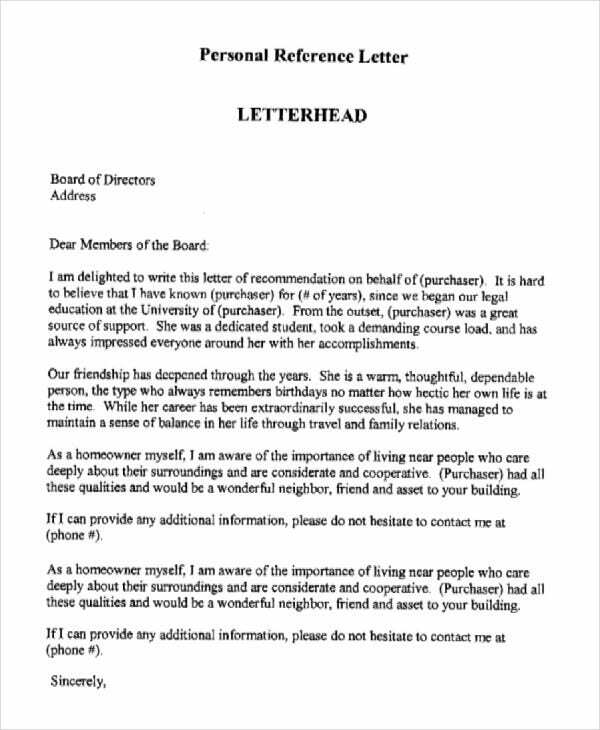 > What are the benefits of Personal Reference Letters? Sample reference letters always point the reader to the right direction. For example, when you write a school reference letter for a friend, you are simply trying to tell them you want them to consider doing their studies from that particular school because it is a better institution. 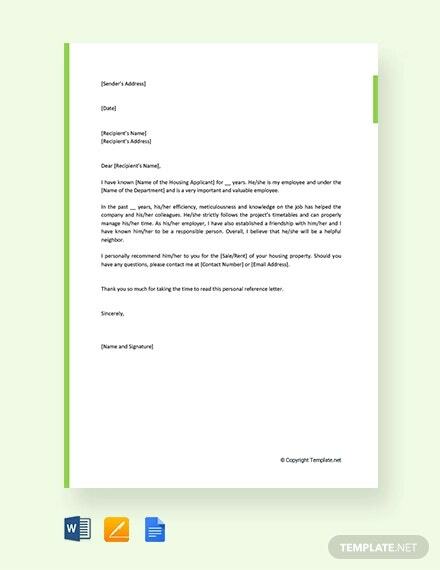 You can also see Demand Letter Templates. At the end of the day, you give them a reason to choose the school in question instead of thinking too much about the schools to attend. 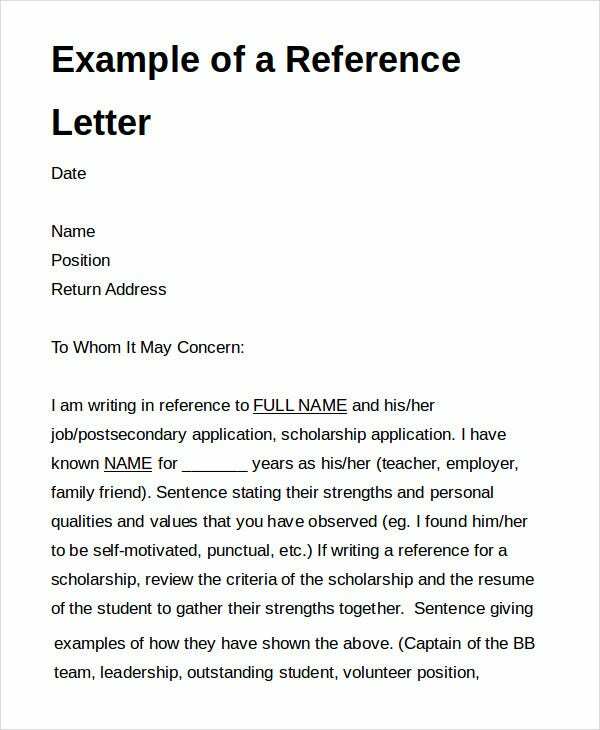 However, reference letters are not just pointers; they speak characters too. 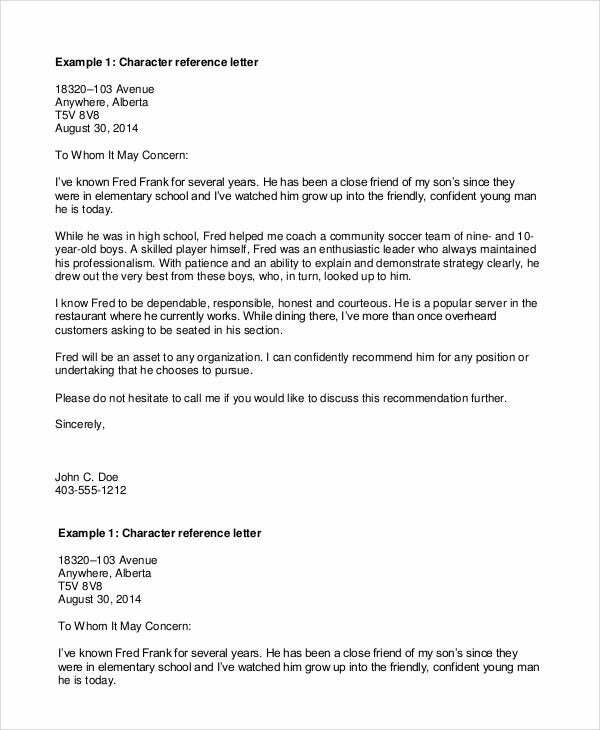 It is from a reference letter that you can know the features of something or the attributes of an individual. 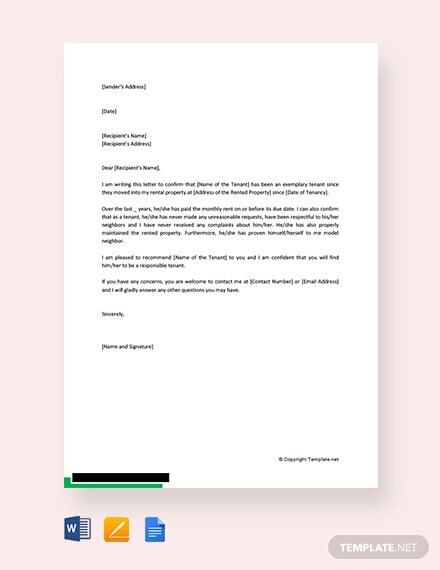 The reference letter you write to your friend is going to be a kind of a big deal. They are going to appreciate that you spent your time to write this piece. 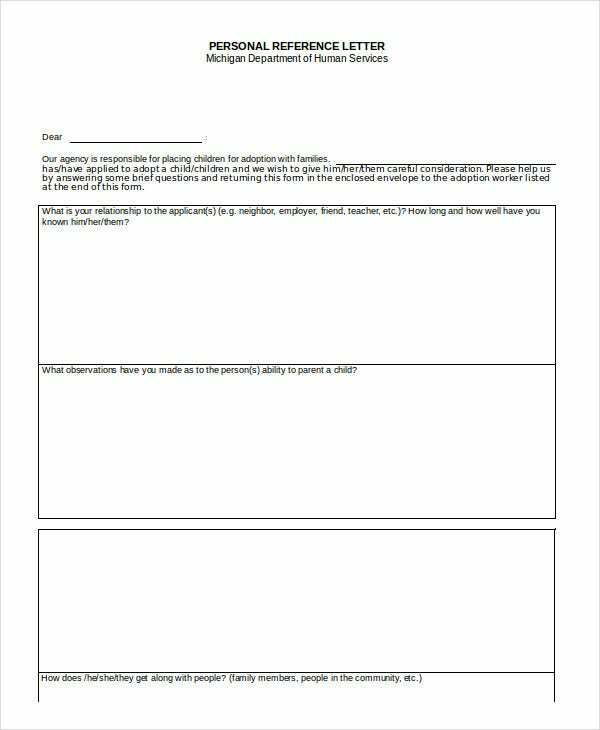 You can make your work easier by using this sample template. 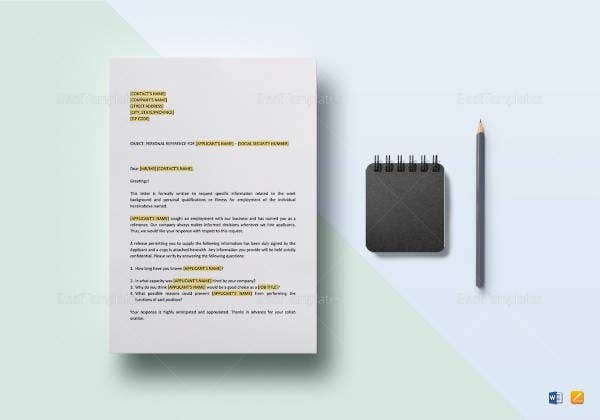 This template is available for free download. It is easy to use and simple to customize. 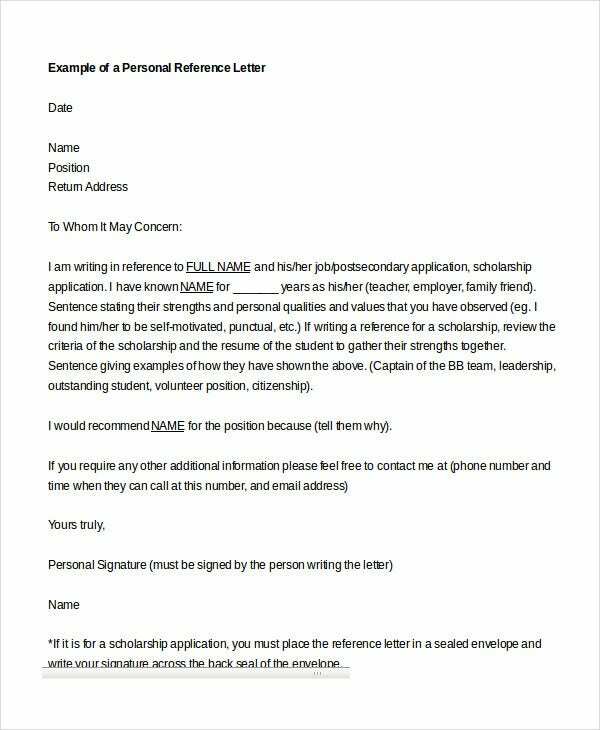 It will make the process of writing a personal reference letter painlessly quick and easy. 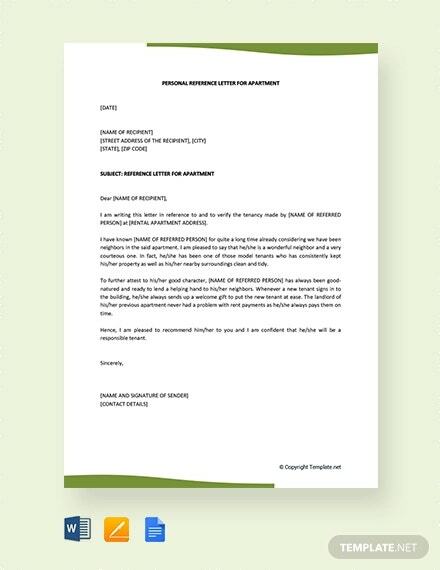 You can also see Complaint Letters Templates. It is important that you provide accurate information. Do not mention what isn’t real. Do not mention an attribute that someone does not have. Make the content of the document short. Try the best you can to include only the important details about a person, and leave out everything else that’s not necessary. 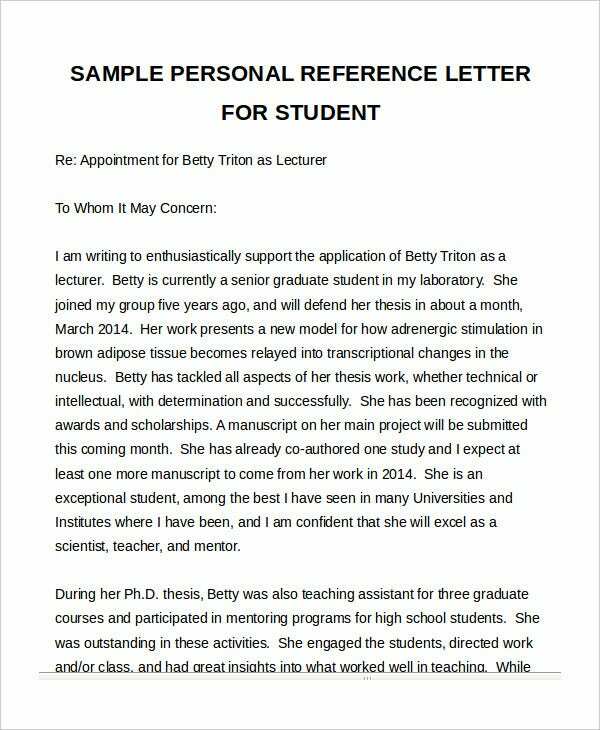 Also, interact with the person whom you are writing the Reference Letter for to understand what really they expect the output to look like. You will be glad that you spent some time to write a good note for someone who needs it. There are many sample files that you can download for free, but the ones listed above are good enough to get you started. 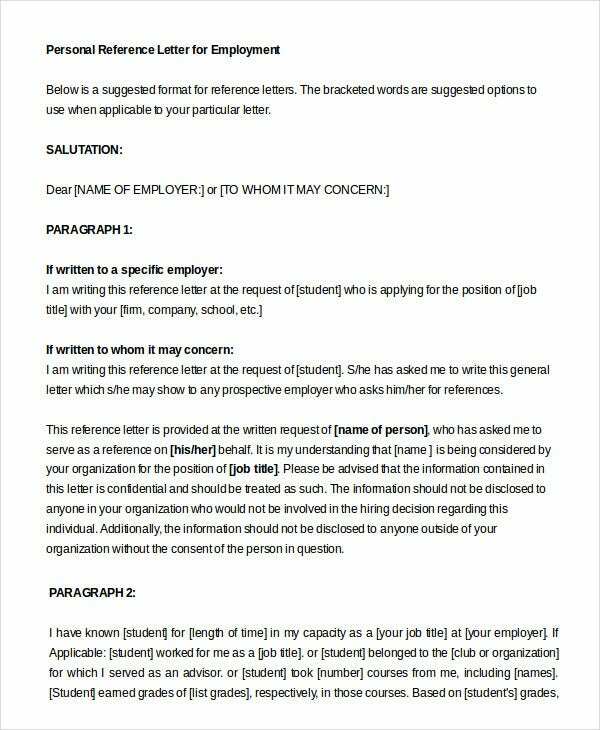 All you have to do is to download the file you believe is best for you, and then use it to write a recommendation letter for or to someone who needs the document the most.